The Chair, Birgitta Sacrédeus welcomed the participants and introduced the topic of the meeting: “The Future of Primary Health Care in Europe”. Ms Sacrédeus highlighted that changing health needs demand a more responsive primary care, capable of integrated care delivery. Therefore, decision makers are looking for efficient new models of primary care able to face the future high expectations in the sector. While clearly respecting the national and regional competences, such a complex challenge needs to be addressed through exchange of practices and inputs at EU level, thus creating synergies among the different stakeholders. 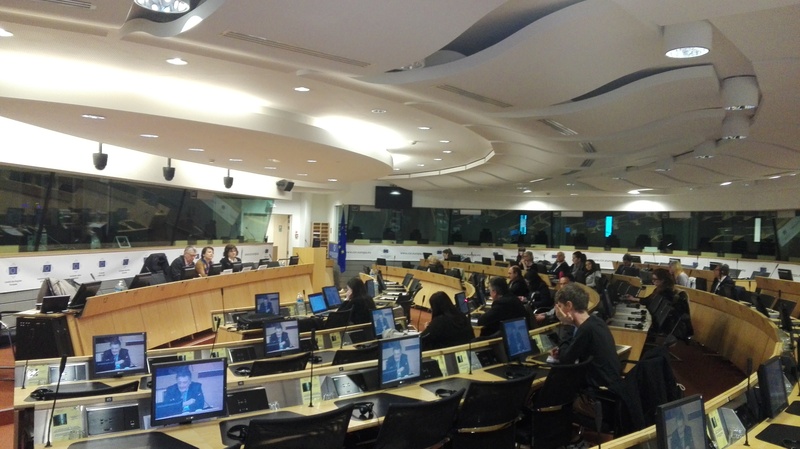 Ms Sacrédeus then gave the floor to Ms Luminita Silvia Hayes, Senior Advisor of the Brussels Office of the World Health Organisation. Ms Hayes started by giving an overview of the history of primary care and how it has changed over time. In the Alma-Ata Declaration (1978), it was seen as the first level of contact, the entry point for healthcare services for all individuals and their families. It included the delivery of a basic package of services and protecting populations through health promotion and disease prevention. It emphasised a broader notion of health, taking into account elements like education, housing, and food. It called for services to be delivered locally, close to home, in support to the development of families and their communities. Through the years, we have also seen a de-institutionalisation of care, movement of services to multiple settings, the push for greater access, 24/7 services, prevention and promotion, the adoption of people-centred care and a life-course approach. The past 40 years have been a period of unprecedented changes (Google was first launched in 1998, Wikipedia in 2001). We have also witnessed major social changes linked to globalisation, the start of the technological revolution, the financial crisis, awareness of climate change, health insurance funds, and a doubling of the disease burden, including new risk factors and non-communicable diseases. Today, the ageing population and the spread of new information technologies are accompanied by new and changing health demands, including global epidemics, increases in mental health conditions, antimicrobial resistance, etc. Among the challenges facing primary care in 2030, Ms Hayes highlighted increasing old-age dependency, acute stroke and heart diseases, dementia and Alzheimer, addictions, obesity, increased environmental risks, and enlarged vulnerable groups (carers and migrants). These challenges are accompanied by the rise of new innovative technologies which make access to healthcare more available (e.g. wearable health technologies, genetic mapping, etc.). By making personal health monitoring increasing accessible, new technologies can potentially improve primary care. However, transformation is needed in order to fully harness the potential of these changes: new competences in the education of primary care workers are needed and it is important to be able to anticipate changes in order to evolve our service delivery. Ms Hayes underlined that progress is not universal and fragmentation in care is still complex. Our current health systems must be transformed and intersectoral action is needed to accelerate implementation of a health system architecture which is fit for the challenges of the 21st century. To this end, a WHO European centre for primary health care was established in 2013 to work closely with Member States in their efforts to transform service delivery. The centre’s activities cover four core pillars: knowledge synthesis, country support, policy analysis, and alliances and network. In 2016, the WHO also established a European Advisory Group in order to support the advancement of primary care and work towards integrated health services and people-centred health systems in the WHO European region. Ms Hayes concluded by saying that healthcare systems must be strong and resistant enough in order to survive in a rapidly-changing environment and underlined the importance of solidarity. In order to strengthen our healthcare systems for all people and to make sure that no one is left behind, early investment in primary care is key and the role of regional authorities is essential. 1. Dimensions and domains to be taken into consideration in assessing the performance of primary care. 2. Specific indicators to be collected and analysed to give a better understanding of the performance of primary care. 3. How the analysed indicators are fitted for policy making: do they allow the identification of specific levers and policy actions to respond to the highlighted issues? 4. Advice for an EU agenda on performance assessment of primary care: goals, opportunities, activities, and possible deliverables. Mr De Maeseneer presented the Opinion on Tools and methodologies for assessing the performance of primary care, aimed at analysing evidence that could support the EU countries in delivering high quality care and making their health systems more effective, accessible and resilient. The Expert Panel considers that primary care is the provision of universally accessible, integrated person-centered, comprehensive health and community services provided by a team of professionals accountable for addressing a large majority of personal health needs (over 90% of newly-presented problems can be addressed at primary care level). These services are delivered in a sustained partnership with patients and informal caregivers, in the context of family and community, and play a central role in the overall coordination and continuity of people’s care. The professionals active in primary care teams include, among others, dentists, dieticians, general practitioners/family physicians, midwives, nurses, occupational therapists, optometrists, pharmacists, physiotherapists, psychologists and social workers. • Coordination of people’s care: inter-sectoral coordination is extremely important, especially when it comes to multi-problem situations. We must link primary care with key areas such as education, housing, environmental issues, etc. • Human resources management is extremely important, not only from a quantitative but also from a qualitative point of view, including provider well-being, competence and motivation (which must be updated with the latest technology and the scientific revolutions); the role of nurses (task delegation and substitution, competency sharing, making them a part of the team); the role of community pharmacists in primary care and pharmaceutical care; Mr De Maeseneer highlighted that having a multi-sectoral and integrated approach is key in order to achieve quality. It is essential to play at different levels (i.e. at the level of the structure, the process, and the outcome), as context is important, but so are structural elements and the needs of patients. • Primary care contributes to social cohesion, as if there is fragmentation, it is impossible to build a society. During the discussion, the importance of prevention in primary care was emphasized and CoR member Jean-Luc Vanraes underlined that prevention is also about resources and cost efficiency. In this regard, it was pointed out that healthcare spending is a cross-sectoral investment, as it generates returns in different sectors. Therefore, it is important to think of healthcare as an investment rather than as a cost and to invest more in prevention. Overall, all panelists emphasized the importance of investing in preventative measures, rather than just reacting when there is an outbreak. The next meeting of the CoR Interregional Group on Health and Wellbeing will take place on 17 May on “Health Technology Assessment and Precision Medicine”. Further information about this meeting will be circulated soon.